Abhimanyu is an attorney at ALG India Law Offices LLP and has been in practice for more than 7 years in the legal field which includes Intellectual Property Rights (IPR), General and Commercial Litigation. In the field of IPR, his practice involves prosecution and rights registration for a range of clients. He advises clients on the prosecution aspect of trademarks, service marks, trade-names, domain names, geographical indications, copyrights, etc. He is engaged in preparing filing and prosecuting applications for registration of trademarks, service marks, copyrights and GIs, responding to office actions, attending hearings, maintenance of portfolios, etc. He also has experience in obtaining registrations for trade-dress, trade-names, company names, domain names, placing back-orders for domain names, etc. His work also involves advising and assisting clients in title updation, preparing affidavits of use and commencement of use of trademarks, recordal of licenses etc. at the relevant authority, facilitating renewal of the mark, drafting and vetting license and assignment agreements, vetting and finalizing of franchisee agreements and drafting IP clauses in contracts. He also shares responsibility for contentious matters before the Trademarks Office, the Design Office, the IPAB (Intellectual Property Appellate Board), and the NIXI (National Internet Exchange of India). His area of practice involves oppositions and cancellations, including drafting and filing notices of opposition, counter statements, affidavits by way of evidence, affidavits in reply, seeking interviews and attending hearings before examiners/officers/arbitrators at the respective authorities. 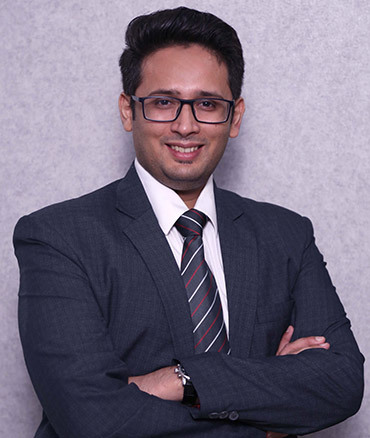 He has experience in drafting and filing domain name administrative proceedings under the .IN Domain Name Dispute Resolution Policy (INDRP) and the Uniform Domain Name Dispute Resolution Policy (UDRP). Various incidental and related activities such as negotiations with adversary’s counsel towards settlement of oppositions/cancellations and drafting and reviewing undertakings and settlement agreements, are attended to by Abhimanyu. In the field of litigation, his practice involves handling law suits pertaining to infringement and enforcement of various branches of IP, conducting negotiations with opposing counsels towards settlement of oppositions/cancellations, drafting/reviewing undertakings and settlement agreements. Drafting of pleadings, legal notices, appearing in SC, Delhi High Court, District Courts, Consumer Forum in Civil, Criminal and IP matters.